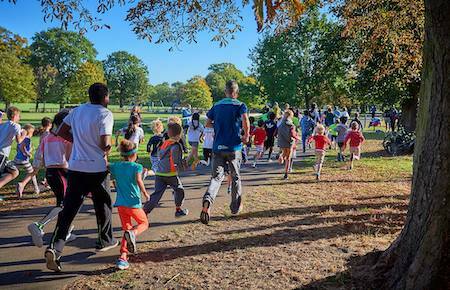 What is Friary Park junior parkrun? It is a 2k event for juniors only (4-14 year olds). If you are not a junior please try one of our weekly Saturday parkrun events instead. The event takes place at Friary Park, Friary Road, Barnet, N12 9PQ. See Course page for more details. Nothing - it's free! but please register before your first visit. Only ever register with parkrun once. Don't forget to bring a printed copy of your barcode (request a reminder). Every week we grab a post parkrun coffee in the Friary Park Bowls Club - please come and join us! Don't forget your paper barcode! See your initial registration email, your weekly parkrun newsletter, previous results emails, or you can request a reminder email. Phones don't scan, so please bring a printed copy. Did you participate this week? Check out the results page and news page which includes event reports - we normally update these a day or two after the event.